It is widely recognized in academic studies that children of divorced parents are more likely to get divorced down the road, when compared with children whose parents stayed together. Plenty of research has examined the connections between a broad range of different factors and someone’s likelihood to divorce in the future. Nurture and not nature has been named as the primary foundation for any influence from childhood to adulthood, but a new study questions that belief. A new study published in Psychological Science indicates that this might have more to do with genes than environmental factors. The study found that the likelihood of children who were adopted, to get divorced in the future reflected the experience of biological parents instead of adopted ones. Swedish National Registry data was used to analyze this connection, and found that genetic factors primarily explained whether or not divorce was transmitted from one generation to another, as far as likelihood. The researchers who completed the study suggested that these results could help therapists in the future who are in the position of helping couples who are struggling to figure out how to make things work. It may not, in fact, according to previous research, be due to witnessing the breakdown of a parent’s marriage during growing up. 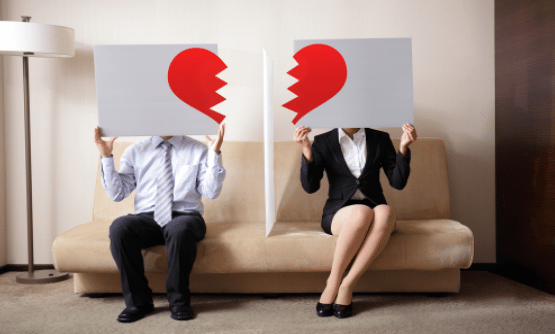 In fact, there may be genetic factors at play that could be used by a therapist to help him or her chart a better path for the future of the couple that is currently struggling in their marriage. There are many different issues that can prove problematic in a marriage and if you find that you do not wish to move forward and intend to separate or get divorced, then consulting with a knowledgeable Brooklyn family divorce attorney is strongly recommended, so that you understand your rights and what you need to do in order to protect your best interests going forward. With so many complex issues on the line, you cannot afford to wait to contact an experienced Brooklyn family lawyer who has helped many other individuals in this delicate and challenging family situation.